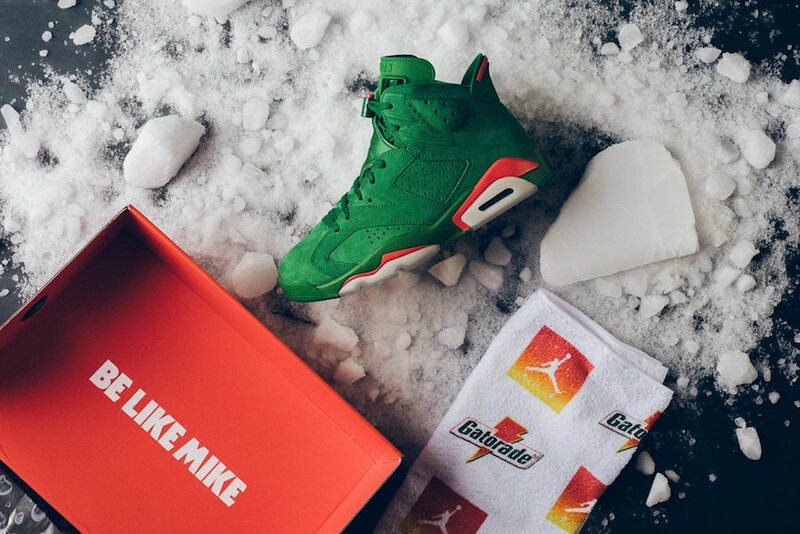 The Air Jordan 6, the very shoe Michael Jordan wore during the original Gatorade campaign, will complete the “Like Mike” Collection in a Green Suede colorway. Dressed in a Pine Green and Orange Blaze color scheme. 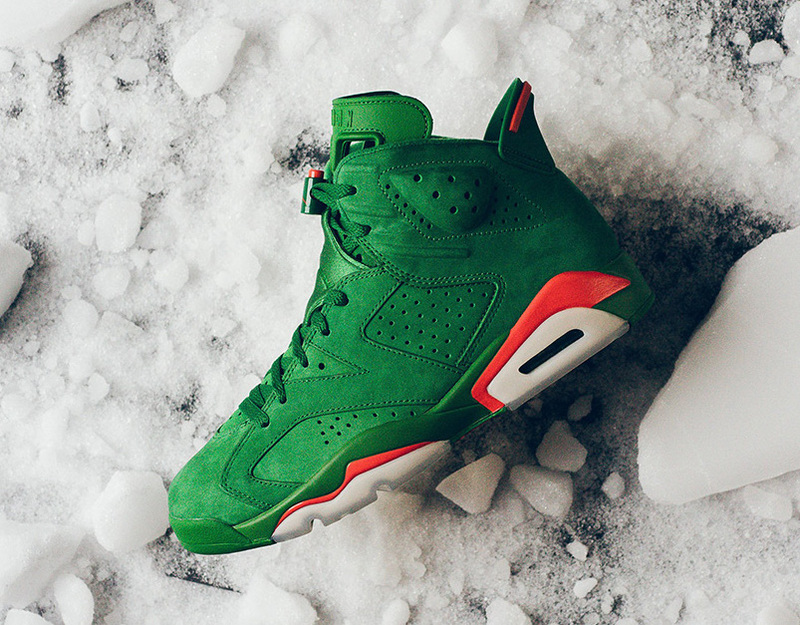 This Air Jordan 6 Gatorade features a Green synthetic suede upper paired with Bright Orange detailing. This colorway is highlighted by a squeeze bottle-inspired lace lock, Gatorade branding on the insole and “If I Could Be” embroidered on the inner tongue — a nod to the spot’s catchy song lyrics. Look for the Air Jordan 6 Gatorade in “Green Suede” to release tomorrow, December 30th at select retailers and Nike.com. The retail price tag is set at $225 USD.